The Gateway Pundit spoke to Freitas following the endorsement to find out more about where he stands on the issues. Freitas told The Gateway Pundit that he is thrilled about the endorsement — not only for campaign purposes, but on a personal level as well. He stated that there are not a lot of politicians he really admires, but that Senator Paul is certainly one of them. 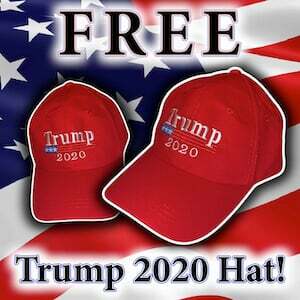 When asked where he stands on President Donald Trump, Freitas stated that he agrees with him “on a lot of the core areas of his policy positions” and believes that he has done a great job so far on many issues. As far as immigration, Freitas also appeared to be in line with the president’s agenda. Freitas will be running against Corey Stewart for the Republican nomination, but refused to sling mud against a fellow conservative. “One thing I constantly tell people is that in the Republican Party of Virginia, one of the biggest problems that we have is what I affectionately refer to as ‘the circular firing squad.’ Every primary or convention the candidates tear each other apart and engage in character assassination instead of politely demonstrating their differences. I’m not going to do that. What I will say is that Corey and I have different philosophies with respect to the proper role of government in certain areas,” he said. 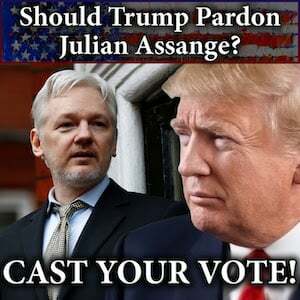 The candidate explained that he believes the future of the Republican Party will be more focused on liberty and that is where he fits in. He is both a life-member of the National Rifle Association and a member of the Heritage Foundation. “Fighting against onerous regulations and fighting against cronyism is very important to me,” Freitas said. 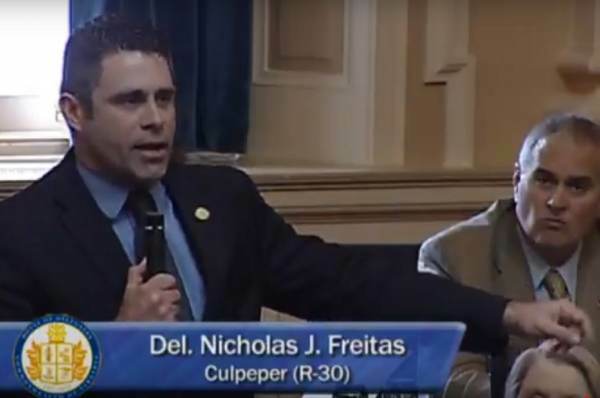 Freitas has been wildly popular in his community, and was overwhelmingly elected to a second term in the House of Delegates last year. He has had great success not only working with Republicans, but also with people and groups that lean left of center. “When it comes to carrying legislation and getting it signed into law, even by a Democratic governor, I have a very good track record,” he said. Freitas served with the 82nd Airborne Division and 25th Light Infantry Division as an Infantryman. Following the terror attack on September 11 2001, Nick volunteered for US Army Special Forces (Green Berets) and eventually served 2 tours in Iraq as a Special Forces Weapons Sergeant and Special Forces Intelligence Sergeant. After being honorably discharged in 2009, Freitas became the Director of Operations for a disabled veteran owned company that provides direct support to our service men and women conducting counter insurgency and counter IED operations in Iraq and Afghanistan. Another issue that is important to Freitas, a father of three, is education reform. This topic is especially dear to him, as he has worked as a teacher in a homeschool co-op in Virginia. He believes that there should be a marketplace for education, school choice, which would allow teachers and parents to make more decisions in the classroom instead of politicians. He explained that the government has done the exact opposite for education, which leaves little options for the poor. “You’re stuck with whatever the government assigns you,” he said. More information about Freitas’ campaign can be found on his website, Facebook and Twitter. He is constantly updating his social media with videos and information about where he stands on specific issues. 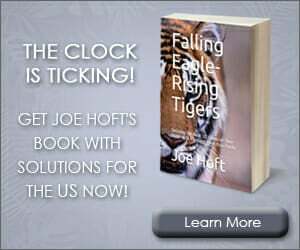 “I’ve proven both on the battlefield overseas and on the battlefield of ideas, I am willing to stand by what I believe in and fight for it,” Freitas stated.